Despite losing Kevin Love in the first quarter due to a head injury, LeBron James and the Cavs avoided elimination. Once more the game ended up being all about the “King”. 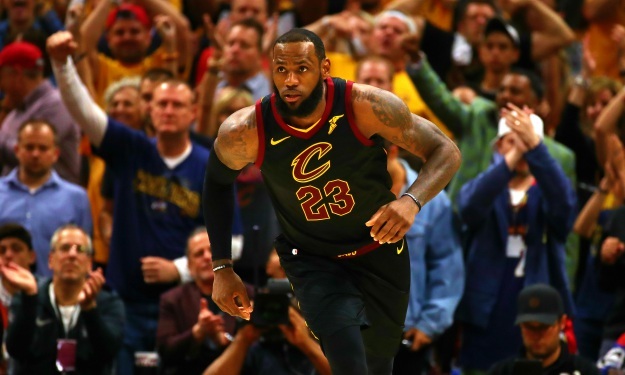 LeBron James was unstoppable and he finished the game with 46 points, 11 rebounds and nine assists in 46 minutes. The Boston Celtics got off to a good start but Cleveland went on a 14-3 second-quarter run and led by 10 at the half, 51-41. Late on, the Cavs led by 16 but Boston eventually got it down to seven. That was the closest they would get, falling 99-109. George Hill provided excellent support for LeBron James with 20 points while Turkish rookie Cedi Osman played only one minute. Terry Rozier hit 6-of-10 threes on his way to 28 points adding 3 boards and 7 assists with no turnovers for the Celtics. French rookie Gouerschon Yabusele had one rebound in one minute. Game 7 will take place in Boston on Sunday.